It’s that time again. Time to close out my current interim CIO engagement and transition to the new CIO. 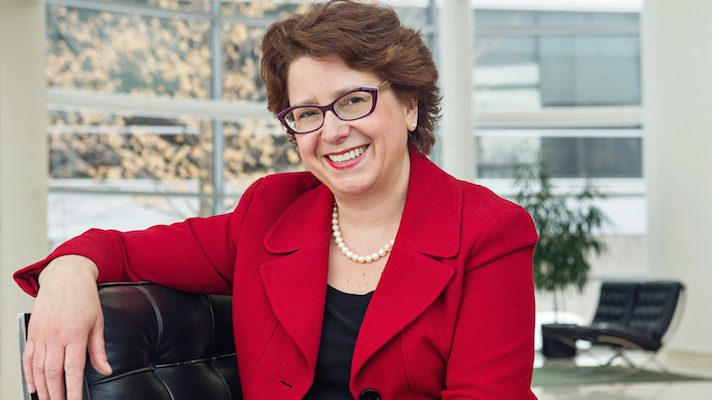 I’m delighted to share the news that Stony Brook Medicine has hired Kathy Ross as their next CIO. She starts July 24, and we will have a few weeks together to complete the transition. Kathy brings extensive healthcare CIO experience having served for many years as a CIO within Ascension Health. She is no stranger to Cerner, our core EMR vendor. But walking into a new environment with all its complexities and uniqueness is a challenge for the most seasoned leader. We can only have one CIO at a time. So, day one, it will be Kathy. I will work out of a temporary space nearby. My focus and role will be to support her and provide as much background information as I can to ensure she gets up to speed quickly. While I have only been serving as interim CIO since early March, my plan for what I need to fill her in on is long and growing. It includes a review of where we are on focus areas during this interim. We’ll block time to review together key background information and issues needing attention. And, together, we’ll meet with everyone on the IT leadership team as part of the handoff. I learned at my last interim engagement to block out chunks of time to review everything on the transition outline and not let the usual day-to-day meetings fill all available time. At that engagement, my boss had asked for a month transition. I thought that was long, but once we were in the middle of it, I realized it could fly by quickly. I’ve told my IT leadership team, I’m good at playing 20 questions but I don’t like to. They should proactively share key information the CIO needs. I hope Kathy won’t have to play 20 questions – if we do our transition work well, we’ll be serving up everything she needs to know to be successful early on. While I am only familiar with a small part of Long Island, I will try to be helpful as Kathy figures out where to live long term and learns her way around. Doing an interim engagement means you form new professional relationships and friendships. People see my family picture on my desk. They know why I do interim engagements and that I want to continue living near family rather than taking a permanent position somewhere. And I’ve gotten to know them and learned about their families as they balance work commitments with raising kids and helping elderly parents. I’ve worked with many talented, committed leaders here and look forward to keeping in touch. What’s next for me? I am looking forward to a break while New England summer is in all its glory. I want to fit in a few beach trips with the grandkids. I will continue coaching several IT leaders around the country as I have been working with them in the evenings. And I am always open to the possibilities as my HIT advisory firm, StarBridge Advisors, continues to serve new clients.